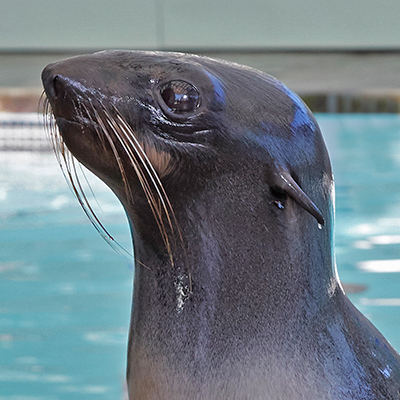 The New England Aquarium is supporting informal science learning educators across the country to help them share the causes, consequences, and appropriate responses to climate change with the public. The Visualizing Change project is a climate change education toolkit for informal educators. We helped produced this series of four short programs that we call visual narratives. 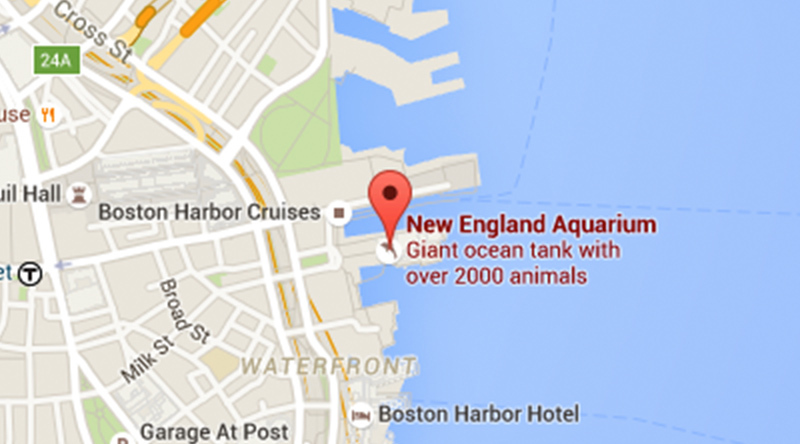 For each narrative, the New England Aquarium along with our partners compiled images and scripts with annotations to explain the communication theory that’s embedded into it as well as background information about the issue or issues involved. The materials are available at www.vischange.org. 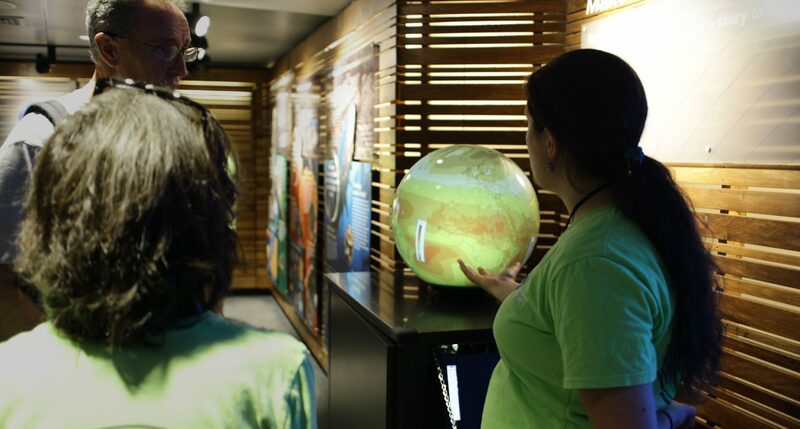 Visitors looking at information about Earth on a spherical display at New England Aquarium as part of the Visualizing Change project. Why did we make these visual narratives and toolkits? 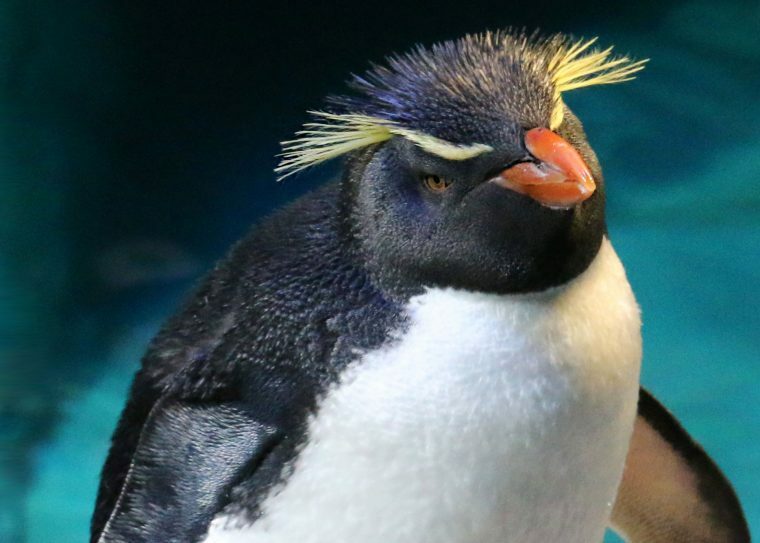 New England Aquarium has been working collaboratively to support informal science learning institutions (aquariums, museums, nature centers, zoos and more) to find ways to live up to our conservation missions by helping the public understand the causes, consequences, and appropriate responses to climate change. Scientific data are often available in dense or complex formats that make it difficult for interpreters to bring them into conversations with visitors. What if science educators could treat data like an illustration in a great picture book—a visual that brings the story to life and helps engage viewers in dialog as move it along? What if that dialog helped more people to consider and embrace their own capacity to play a positive role? 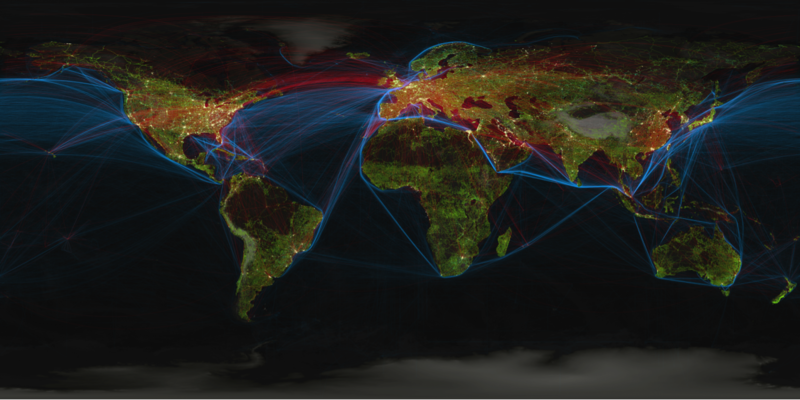 Visual narratives are designed to acknowledge visitors are already interested in shaping the world to be healthier, more vibrant and sustainable. They are designed to share scientific data in ways that are meaningful and empowering for audiences, and to be useful in a variety of settings. What is the Visualizing Change Project? We worked with data specialists at NOAA to find useful data to help explain each issue, and we worked with social scientists to develop recommended scripts. Educators tested and revised the presentations several times over two years, with evaluators observing and analyzing impacts on visitors and on educators themselves. Early evaluation findings indicated that visitors typically responded positively to visual narratives, finding them to be enjoyable and interesting. 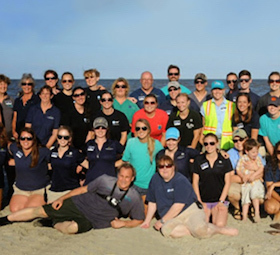 Importantly, most visitors came away from hearing a visual narrative presentation with a better understanding of ocean issues and possible solutions to these problems. Still, the early scripts also had challenges, so we made adjustments and tried again. After revising the visual narratives based on evaluation feedback, a few times, we finalized them. At that point, we began to lead training programs for educators from other institutions that hadn’t participated in the Visualizing Change project. As of November, 2016, we have trained more than 140 educators from more than 75 institutions across the country. We’ve found that Visualizing Change training led to increases in participants’ familiarity with the four topics; they led to increased comfort with strategic communication theory; and, they lead to greater confidence with communicating about climate change. These findings are based on survey responses from 137 trainees distributed across eight training sessions. Three to five months after trainings took place, evaluators asked participants whether they are using any of the visual narratives in their institutions. 65 percent (21 respondents out of 32) indicated they had used at least one of the four visual narratives. 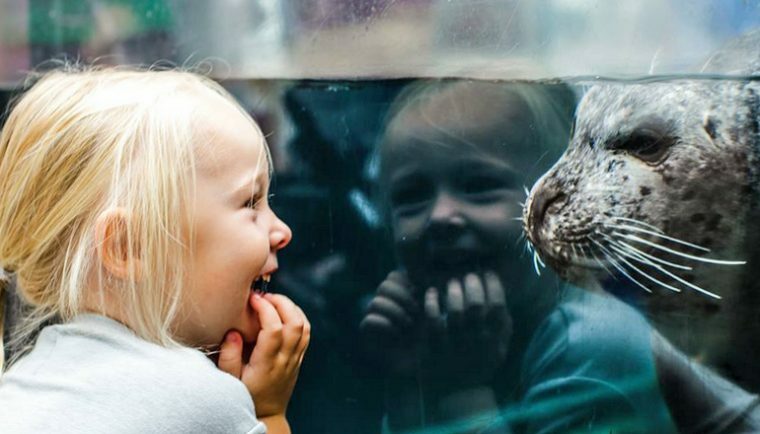 That suggests the training and visual narrative are proving to be useful within the wider aquarium, zoo, and museum field. If you are looking for reliable, effective, and innovative ways to translate climate science for the public, we hope these tools will be of use. We also hope you will help us bring them to the attention of others who could use them. The stories we tell is that our institutions matter. They can create a more informed public that knows what’s needed to safeguard and protect our environment. We hope you’ll join us in telling stories that help Americans visualize change.